Blake loves vehicles and has a good selection of cars, diggers and even a bin lorry. Now thanks to BRIO we've added a fire engine to his ever growing toy collection. When the BRIO Light and Sound Firetruck arrived Blake was at preschool so I made sure to get it out of the box ready for when he got home. When I heard of BRIO before I had only known that they do train sets and didn't know they also do other wooden toys such as the My Home Town range. The My Home Town range gives little ones 18 months and over a chance to try different careers. The farm set allows you to play looking after the farm animals, you can play at being police officer's, firemen and more with the toy vehicles. The Light and Sound firetruck set features 1 fire engine, two figures and two ladders. 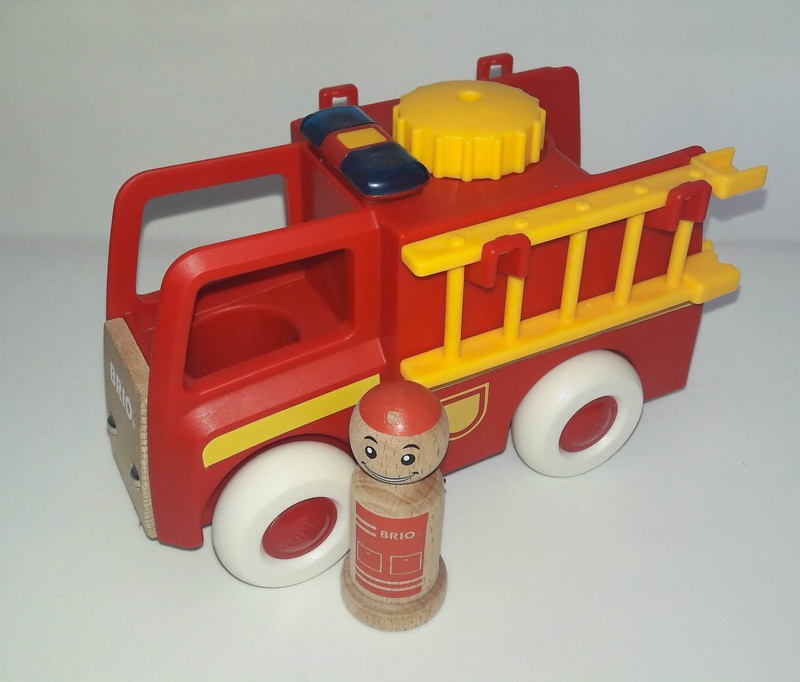 Children can use their imagination by driving the firetruck fast to get to the emergency! You can keep the sirens wailing and lights flashing until you arrive. Don't forget to use the ladders and the wind up fire hose to save the day! Play is so important for children's development the My Home Town range gives children the chance to explore and use their imagination safely. With a wide range of sets and vehicles available there is so much learning potential. As usual with the BRIO brand all of their toys are manufactured to a high standard and from FSC certified wood. 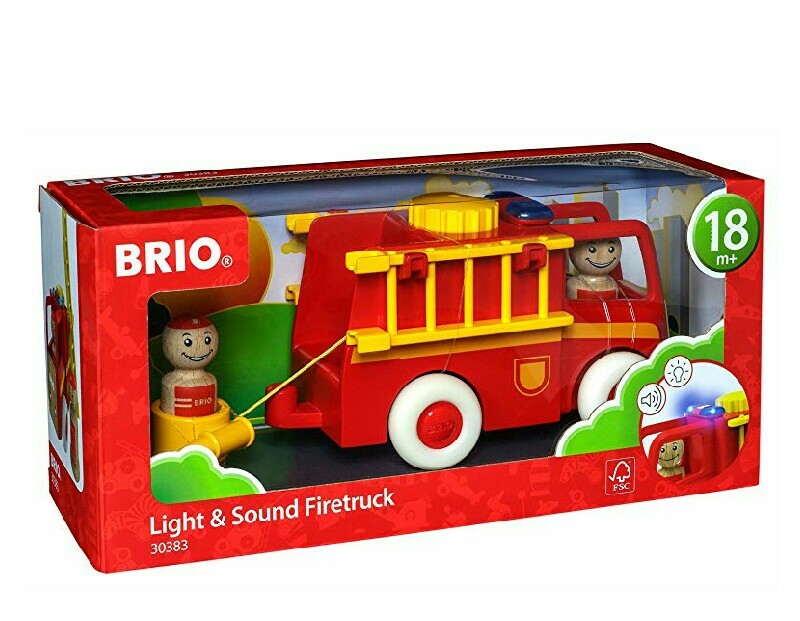 The Light and Sound firetruck happens to be our first ever product we own from the brand and we will certainly be adding more of BRIO's My Home Town range.